Good morning and welcome to day two of SES Chicago! It’s snowing outside and when I mentioned I have an 8 p.m. flight out of here tomorrow night all the locals sort of laughed at me. You don’t suppose they know something I don’t, do you? Mike Grehan starts us off again with some housekeeping details and then introduces Shari Thurow to introduce Peter Morville who is our keynote speaker today. 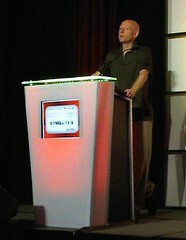 He’s the author of Ambient Findability and co-author of Information Architecture for the World Wide Web. We’re going to be talking about findability and usability. Good times. Peter takes the stage and says he’s going to move pretty fast today. Bother, I knew I should have gotten a coffee. He explains to his mom that he builds Web sites so that people can find stuff. That’s a pretty simplistic version of something that can be applied to many different disciplines. A key element of findability and user experience is multiple paths to the same information. He’s not fond of the word usability. He thinks there’s more to it than just making sites usable. 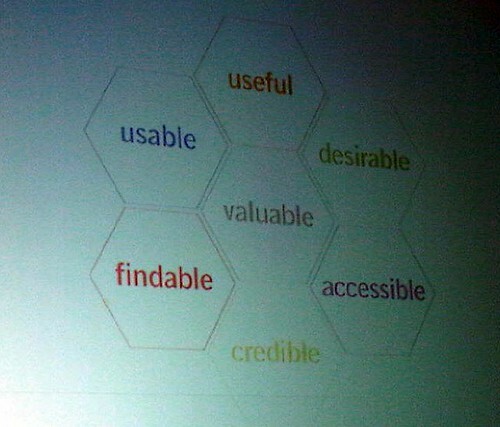 You need not just to be usable but also useful, desirable, accessible, credible, findable and valuable. Valuable not just to users, but also to you as the owner. In the age of search, findability and credibility are closely connected. If you rank well, people assume that they can trust you. He goes through a case study with the National Cancer Institute. 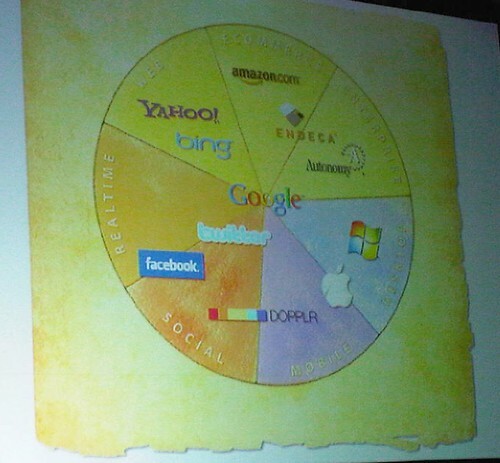 They did a good job learning who their customers were and built content around those people to meet those needs. They ranked for cancer but not for specific cancer terms. He worked with them to increase their findability on those specific topics. Information architecture needs to learn from the past and look to the future. You need to take advantage of longer term trends. In the middle ages, libraries chained books to the shelves and damaging a book meant that you were damned forever. Now we generate huge amounts of information each day and we can’t begin to process it. Marketers think that the firehose means that we just need to do bigger, brighter, better jobs of catching the customer’s attention. But he thinks we need to shift our focus from push to pull, and focus on making our information usable and findable. What we’re seeing is that the future is not about the desktop, the laptop, even the mobile device. It’s about multiple paths to the same knowledge, multiple interfaces. He recommends The Transparent Society by David Brin for a discussion of the privacy issues that technology raises. In a world of haystacks, we need bigger needles and ways to describe the uniqueness of an object. And it’s not going to come from AI or information visualization. He thinks it’s going to come back to the librarians — the people who understand the how and why of Meta data and how that’s used to tag and define information. He brings up a slide of the Winchester Mystery House, using it as a metaphor for building without a plan. It’s not unattractive from the outside but it’s nearly impossible to navigate on the inside. Most of the complaints we get are due to the way users search. People blame users for using the “wrong” keywords instead of shifting to match those expectations. Search is an iterative, interactive process. It’s about learning and refining. The questions asked at the beginning of a search are not the ones asked at the end. Search is a complex, adaptive system that includes not just the users and the creators but also the interface, engine and content. In real-time search, you need to update people to what’s latest. In mobile, you need to emphasize browsing because it’s so new that people don’t know what they’re looking for. He’s started to create a Search Patterns group on flickr. He’s found commonalities. Mike Grehan asks Peter if search will ever be solved. Peter says no. It’s always going to be a human problem, not an AI problem. What we’re interested in today is not necessarily what we’ll be interested in tomorrow. You can find his blog at Findability.org. 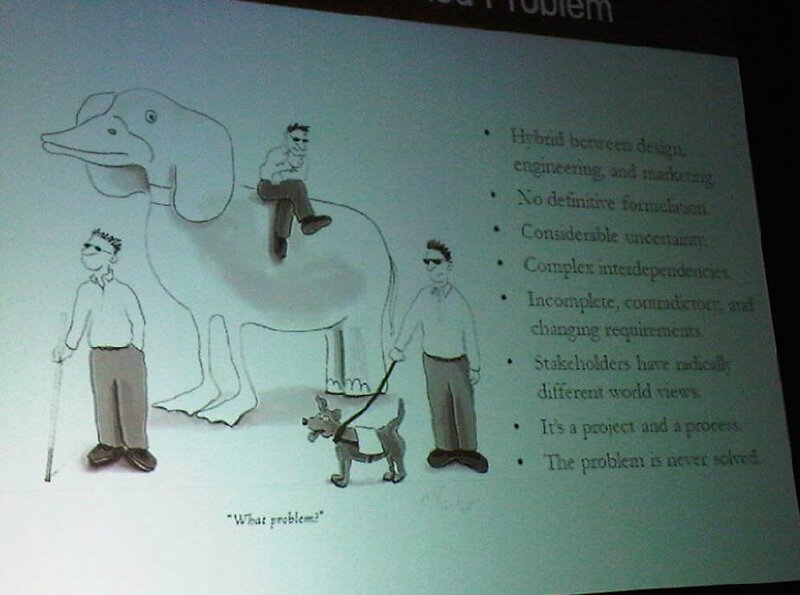 You need not just to be usable but also useful, desirable, accessible, credible, findable and valuable. Valuable not just to users, but also to you as the owner. In the age of search, findability and credibility are closely connected. If you rank well, people assume that they can trust you.